Nail Builder - Builds and strengthens weak undernourished nails. 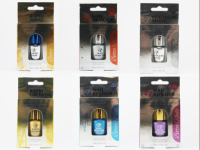 Nail Reviver - Helps repair and restore problem nails. Rapid Growth - Improves nail growth, Strengthens and protects. Platinum Shine - Gives your nails a super long lasting shine. Nail Armour - Keeps your nails strong and healthy. 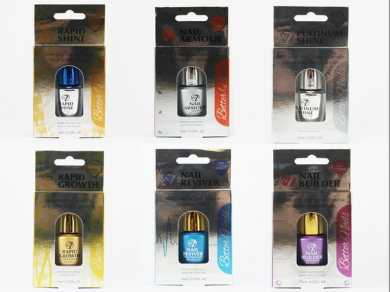 Rapid Shine - Gives your nails super strength and long lasting shine.